Fear the Walking Dead Finale Recap: The Agony of Not Knowing This show is at its best when it ambles from one moment to the next. 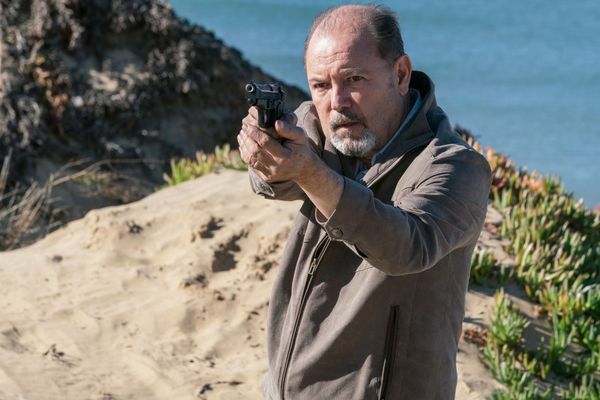 Fear the Walking Dead Recap: Rooting for Evil Almost every one of Fear the Walking Dead’s protagonists seems incapable of holding competing thoughts in their heads. Fear the Walking Dead Recap: Zombies Ate My Neighbors How much mileage can you get out of a single reanimated corpse? FTWD Recap: Well-Meaning Madness People aren’t making sense. Fear the Walking Dead Pilot Recap: Optimism Before the End of the World Better in theory than in execution. 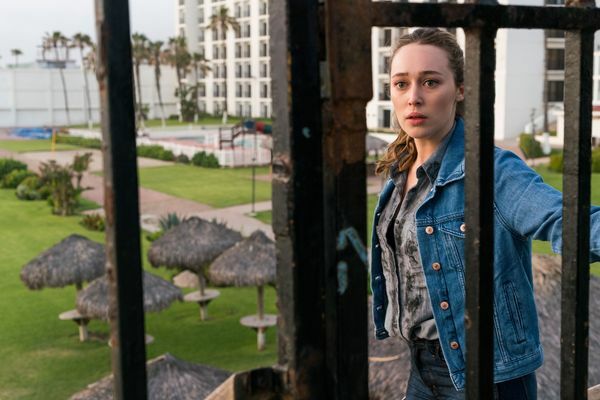 Fear the Walking Dead Season Finale Recap: Losing Faith Fear the Walking Dead doesn’t know where to pull its audience. Fear the Walking Dead Recap: Plausible Deniability “Date of Death” is a showcase for the show’s most frustrating and endearing quirks. 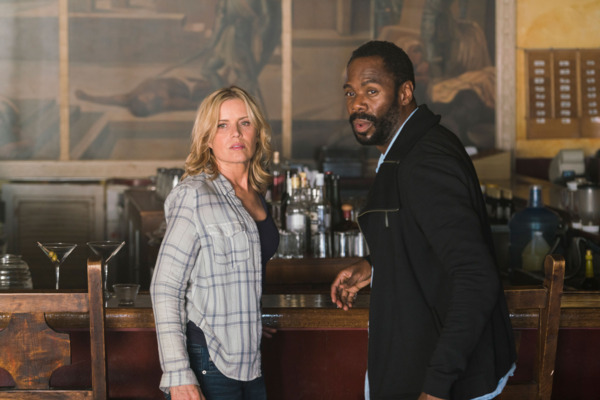 Fear the Walking Dead Recap: Looking Back I’m with Madison all the way. Fear the Walking Dead Recap: If You Love Me, Prove It “Pablo & Jessica” feels loose in ways that few episodes do. Fear the Walking Dead Recap: Out on a Ledge Yet again, Fear the Walking Dead won’t play fair with expectations. Fear the Walking Dead Recap: Tired of Surviving Is anybody on this show capable of talking like a human? 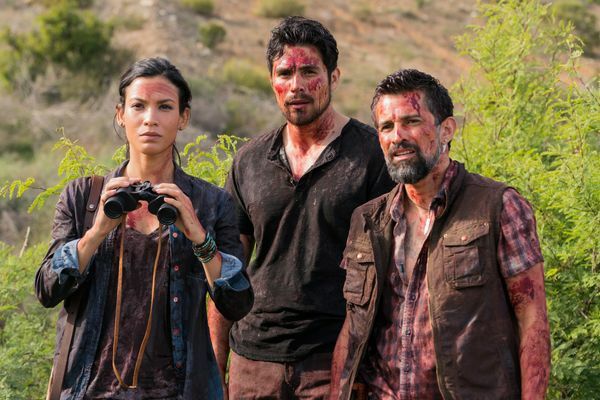 Fear the Walking Dead Recap: Follow the Crimson Road The show still doesn’t have a firm grasp on its characters, but “Grotesque” is a step in the right direction. Fear the Walking Dead Recap: Burning It All Down “Shiva” is a lumpy mid-season finale, but it ultimately satisfies. Fear the Walking Dead Recap: Don’t Feed the Zombies The first dud in an otherwise compelling season. 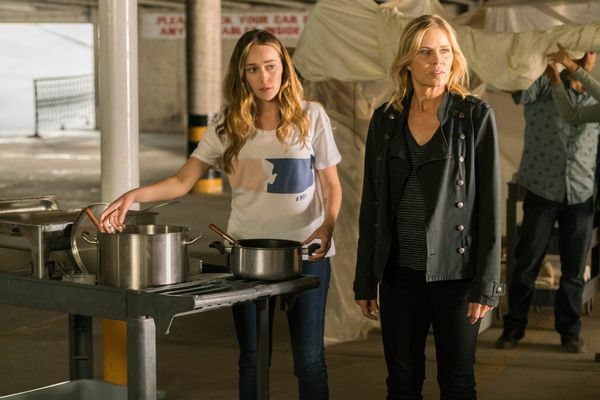 Fear the Walking Dead Recap: The Laws of Nature Helicopter mom to the rescue! Fear the Walking Dead Recap: A Touch of Class Warfare Thomas is an true alpha predator. 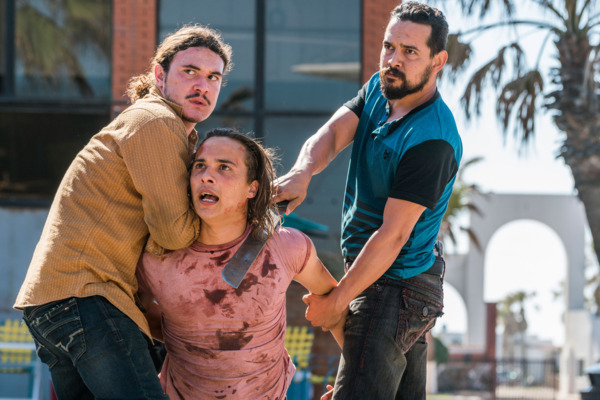 Fear the Walking Dead Recap: The Survivor’s Dilemma Crabs in his guts! That zombie had crabs in his guts! Fear the Walking Dead Recap: Meet the Survivalists This show is at its best when it poses questions without easy answers. 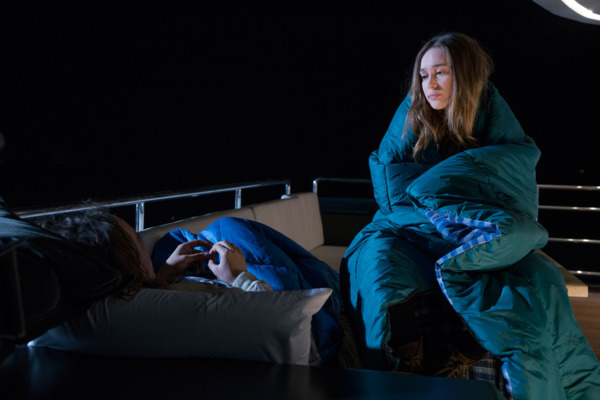 Fear the Walking Dead Season Premiere Recap: Everybody Into the Water! Fear the Walking Dead is too frustrating to be great, but too eccentric to be dismissed.